Some preparation is needed to do this work. 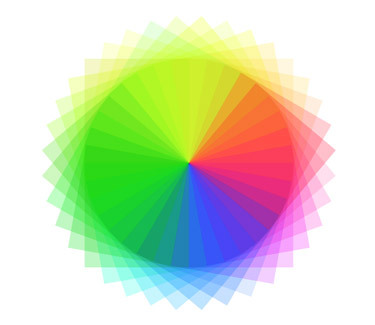 We have to create a 36 colour swatches ranging from bright yellow, to orange, red, purple, blue, green. Make sure that each of the colour swatches has a smooth transition. For example, the last yellow-green swatch has a smooth transition to the first yellow swatch. 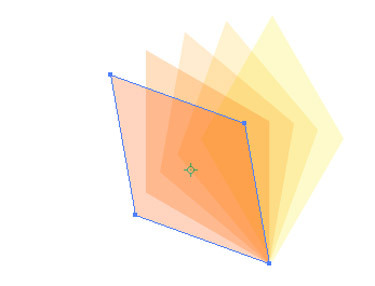 By holding the Shift, draw a polygon with the Polygon tool. 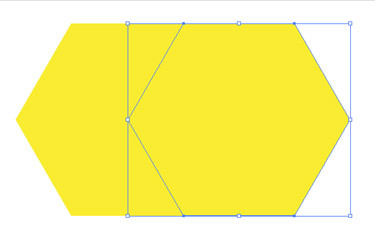 Provide the polygon with a bright yellow fill. Make sure that you have turned on the Smart Guides: View > Smart Guides. To switch the smart guide on and off use cmd /Ctrl + U. it is recommendable to turn on Snap to Point: View > Snap to Point too. 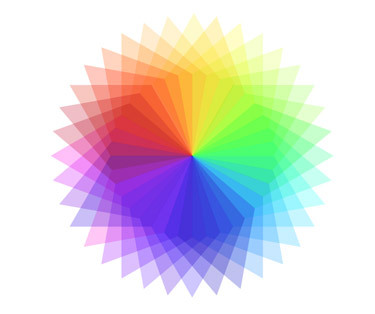 Select the middle left point of the polygon. Then hold Shift + Alt/Option key and drag/duplicate the polygon. 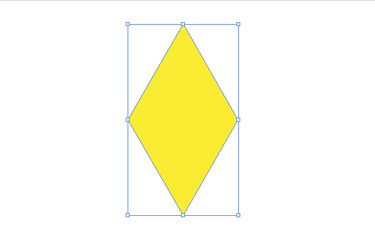 You need to drag the polygon to the right until you are near the central point of the original polygon. Now release the mouse. 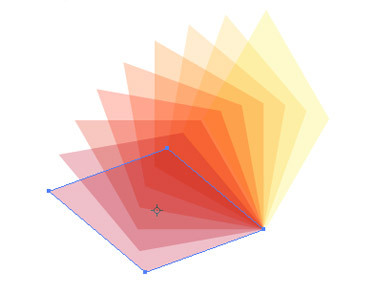 By selecting both the polygons navigate to Pathfinder palette and click the Intersect option. In case of CS3 you have to hold the Alt/Option key or click the Expand button after you have clicked. 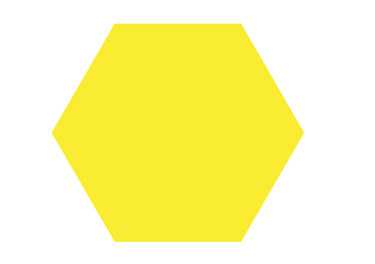 You will get a shape as shown in the image above. 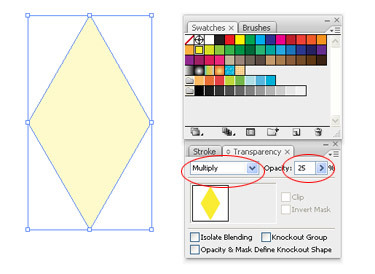 To adjust the value of the shape from 100 to 25 go to the Transparency palette. You need to change the mode from normal to Multiple opacity. Choose the Rotate Tool (R). 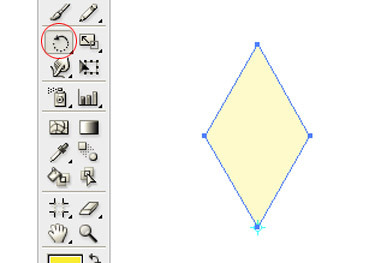 By holding the Option/Alt key, lick on the bottom anchor point of the shape. Enter a value of 10 degree (360°/36) and hit the Copy button. Give the 2nd watch fill to the duplicated shape. Now begins the fun part. 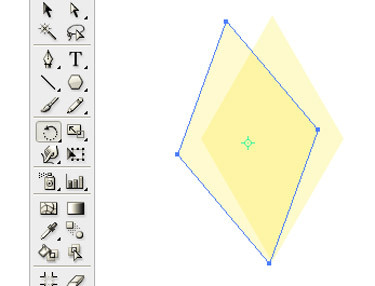 Select the 2nd shape and hit cmd/Ctrl + D to repeat the transformation. Now give the 3rd shape the 3rd swatch fill. Again hit cmd/Ctrl + D. Give the 4th swatch fill to the 4th shape. Repeat these steps until you complete the spirograph.